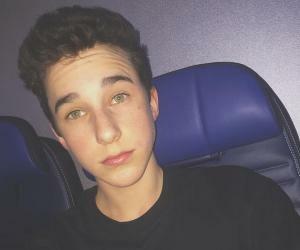 Check out all that you wanted to know about Hunter Rowland, the famous American YouNow star & social media personality; his birthday, his family and personal life, his girlfriends, fun trivia facts and more. 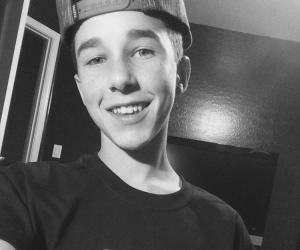 Hunter Rowland is a social media celebrity who gained popularity on the live broadcasting site YouNow. He had posted a video of him and his brother Brandon in Vegas with the tag #DontJudgeMeChallenge and it went viral immediately. He has already gained 728k followers on YouNow. Once a shy teen, Hunter started to enjoy his social media fame as his fan base expanded. He gradually moved to other social media platforms like Instagram and Twitter. He currently has 1.7 million followers on Instagram and 471k followers on Twitter. He also created a Musical.ly (now known as TikTok) account recently and plans to improve his presence on Vine and YouTube. On his official website, Hunter says that he intends to grow as an entertainer and establish himself as a premiere social media persona. 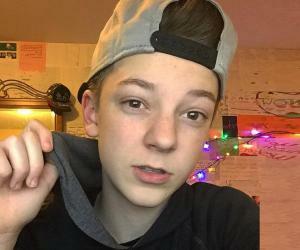 Hunter had appeared as a special guest at VidCon 2015 in Anaheim and also attended both the YouNow and TikTok booths at VidCon 2016. He was a part of the Magcon 2016 tour along with his brother Brandon. Hunter Rowland was insecure and awkward in school, and everyone used to make fun of him. 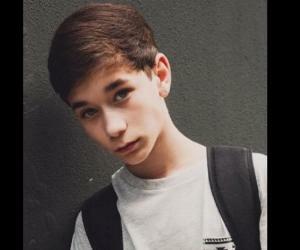 In 2015, his brother, Brandon Rowland, introduced him to the live broadcasting app YouNow where he could meet and interact with people online. In March 2015, Hunter started posting on his YouNow account and that changed everything for him within a year. He started to feel confident and was comfortable opening up to his fans by expressing his thoughts. He started to interact with his fans to get to know them and learn their stories. Soon he moved to other social media platforms and strengthened his presence there. Social media changed Hunter from a shy and insecure teen to a star in no time. Always a family man, Hunter loves to include his family members on his live broadcasts. He is also interested in outdoor activities and likes to play basketball, swim or hike with his brothers. They often have "bro time" together while hiking in local areas. On his official website, Hunter says that he is a complete package on social media as he has a variety of talents. He claims to be a singer, musician, actor, magician, poet, dancer, model, comedian and much more. 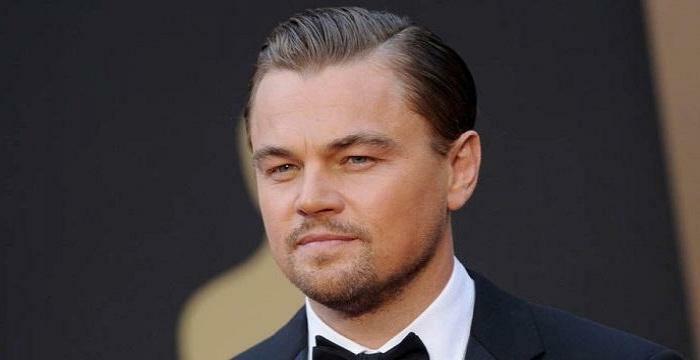 Saying that his primary goal is to make his fans smile, he often tries to spread the message of love and care. Hunter is very thankful to his fans for all he has achieved so far, and often addresses them endearingly by calling them "beautiful" and "cutie". Hunter Rowland is best friends with Blake Gray and they went to Magcon 2016 tour together, along with his brother Brandon. However, the three got into an online fight when Blake commented on one of Hunter's pictures insinuating that the picture was edited digitally to make his arms look bigger. 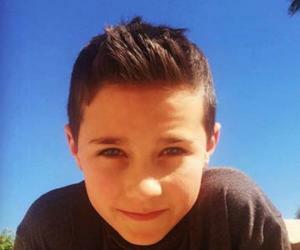 It was revealed that Hunter has been bullied throughout his childhood and is insecure about his physical appearance. 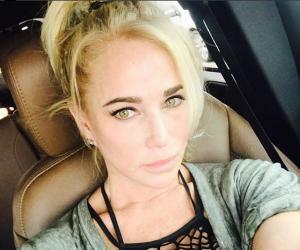 As such, a negative comment from his best friend on social media severely upset him, jeopardizing their relationship. Brandon directly criticized Blake on social media saying that Blake knew about Hunter's insecurities and still took advantage of that which no friend ever does. Hunter responded by blocking Blake on social media and deleting their pictures together from his accounts. The three kept fighting over the issue by expressing their opinions on different social media sites, creating a public drama. Blake later revealed that he was upset about the fact that recently they were not as close as they have been a few months back. Apologizing for bringing out the whole thing on social media, he expressed on Twitter that he would like to talk to Hunter over FaceTime. Blake even revealed that he has also been bullied all his life and considers Hunter his best friend, with whom he has so much in common. From there things seemed to work out for the better as the three soon followed each other on social media once again. Hunter Rowland was born in Florida on April 5, 2001, and later moved to Arizona where he was brought up along with his two younger brothers, Brandon Rowland and Ashton Rowland. He lives with his mother, Christine Rowland, who is a professional model and entrepreneur. He is not close to his father who left them when he was only five. He has been with his mother ever since. He also has a half-brother named Tyler Gebhardt and a half-sister named Alexa Gebhardt. The Rowlands have a dog named Harley and a sphynx cat named Tabu.